There are no y-seams or partial seams. 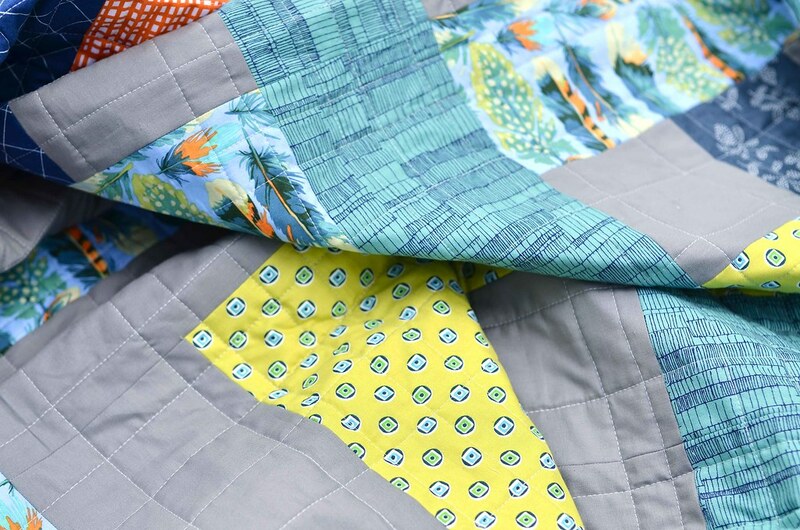 The only fabric in the pattern that uses more than 1/2 yard is the background fabric (and the backing of course), so it is a great project for working from your fabric stash. It comes together quickly and is a great way to highlight larger scale prints. Even though it might look like it's complicated to make, it is great for an experienced beginner! Each step has an illustration, so just take the steps one at a time. Like my other patterns, I gave it a woman's name and the story behind this one is a little more personal. Before I had my youngest child, I had a miscarriage at about 12 weeks along. I never found out if that baby was a boy or a girl, but if the baby had been a girl, I wanted to name her Eliza. I hesitated to explain the background behind the name, but I think these experiences are important to talk about and I wanted to share the significance of the name. 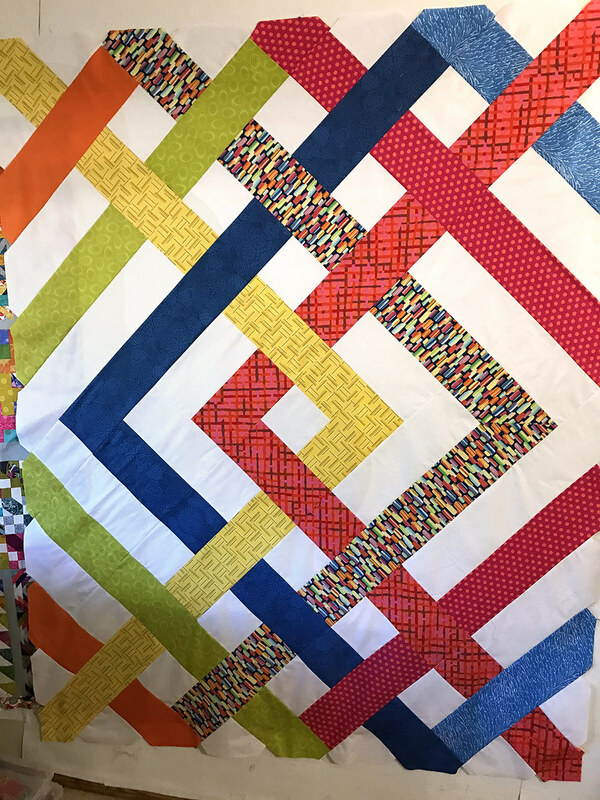 The pattern makes a lap quilt and the finished size is 57" x 71". 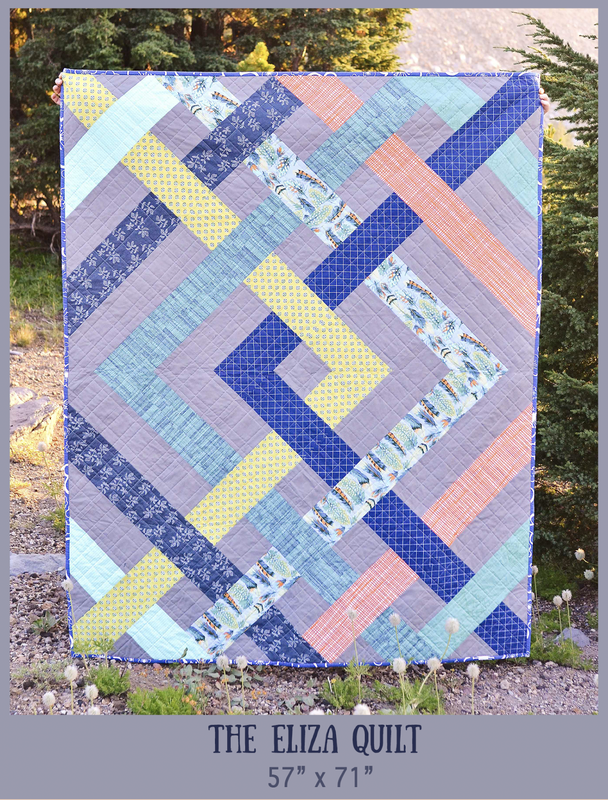 I had four AMAZING pattern testers test this one and they gave it a thorough test. They each made their own version of the pattern and I am excited to share those with you! Miranda has tested a few of my patterns and she does a fabulous job. She used an older Michael Miller collection on this one, and I love how the pink pops against the dark background. I am so grateful to Michele for getting this photo to me. She lives in part of Florida that was heavily impacted by Hurricane Irma. 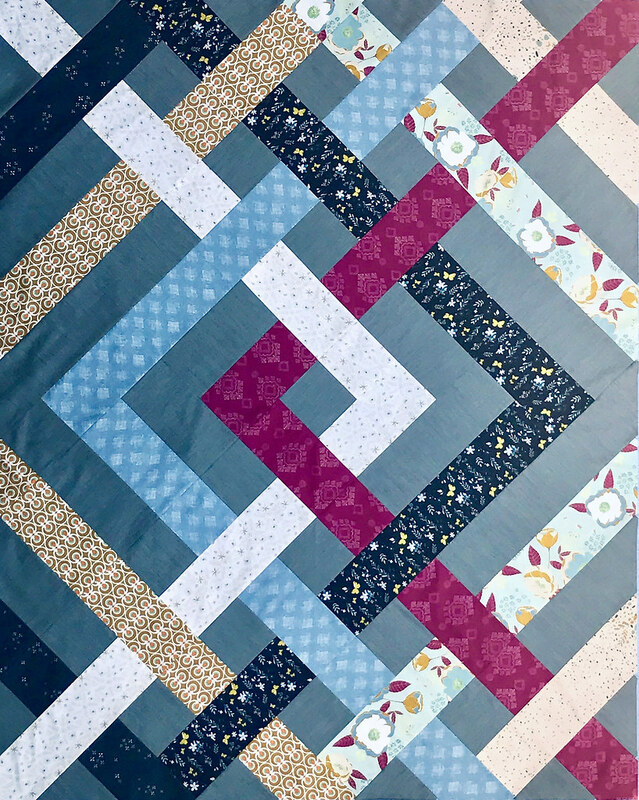 She had finished her quilt top before the hurricane hit, but is currently without power. 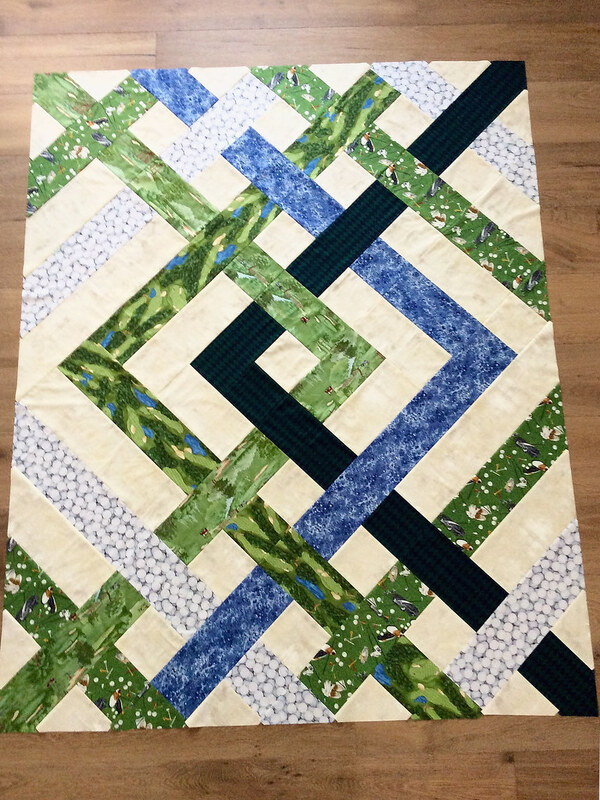 Michele used golf fabrics and is going to give the quilt to her son. 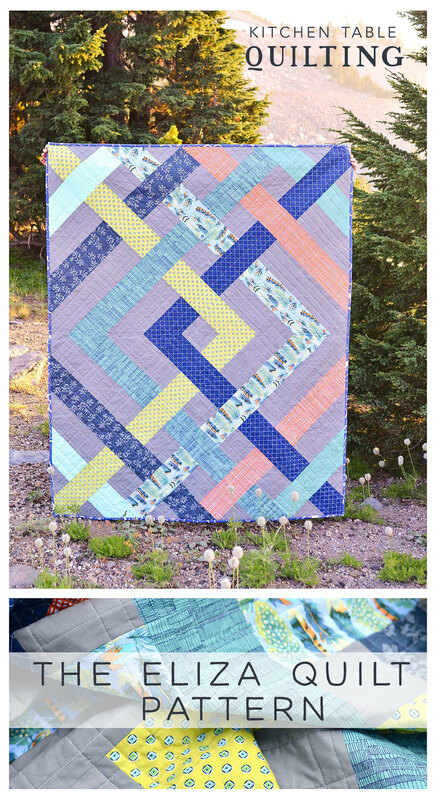 I love the color scheme that Isabelle used on her quilt and the background color is perfect. Thank you to all of my testers for doing such a wonderful job! They each had great suggestions that I think really helped make this pattern as easy to understand as possible. 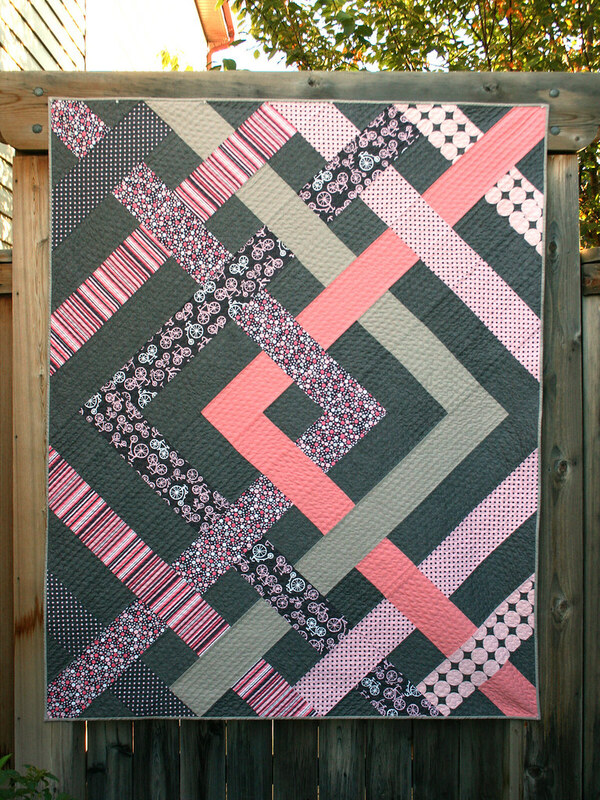 If you want to read more about my Eliza quilt, you can read the post here. The pattern is now available in my shop. Head over and pick one up! I just got your post this morning and would love to have the pattern but your 20% off was just for yesterday? With Hurricane Ivan stuff happening, could you extend it a day? Thanks! It is still going, it is marked 20% off, the regular price will be $8.99.